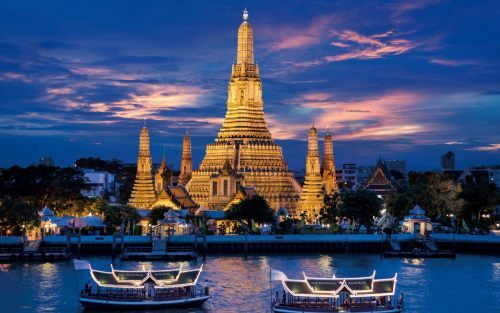 United Airlines and ANA (All Nippon Airways) have dropped the price of their flights from Regina to Bangkok, Thailand down to $681 CAD roundtrip including taxes. On the way home, the stop in Vancouver is a very long one (18 hours). ANA is a very good airline (ranked #3 in the world last year). 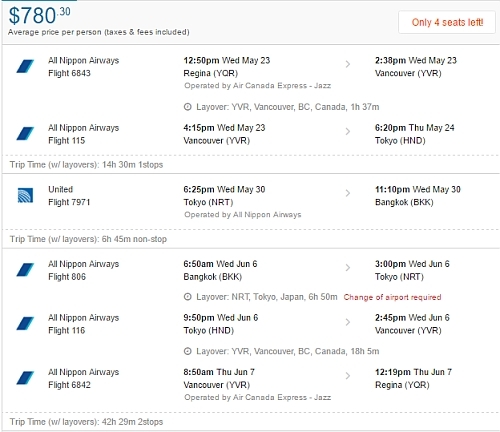 NOTE: After your Flighthub search completes, click on 'Flexible Dates' to potentially see more dates for $681 CAD roundtrip. This option is not available on the mobile site. - For the first and third flights, try using the same dates as shown in the section above, for regular roundtrip flights. 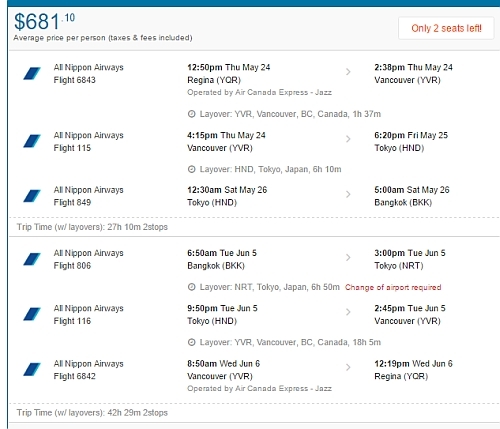 regina, yqr, flight deals, united airlines, asia, southeast asia, bangkok, thailand, bkk, ana and all nippon airways.